Anchovy is a popular fish in Kerala and other south Indian states. This fish is so small that we can eat the bones of this fish. They provide a cheap source of proteins and other nutrients in the diet Intake of anchovies are very good for health. 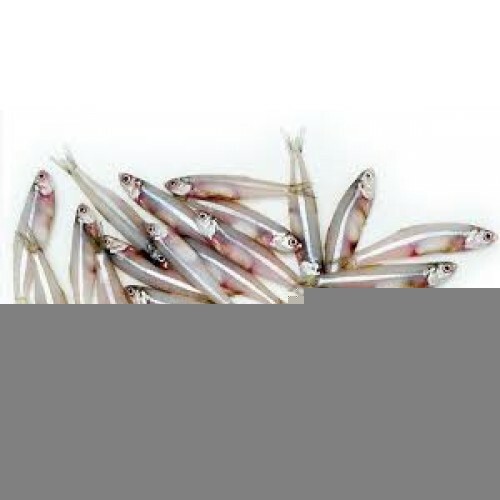 Anchovies are used to prepare fry, chanmanthi, peera - pattichathu, etc. Fried anchovies are a favourite item in Kerala cuisine. Health benefits of anchovies include healthy heart, lower levels of bad cholesterol and toxin levels. It helps in improving skin health, reducing weight and strengthening teeth. Intake of anchovies also reduces risk of osteoporosis and macular degeneration. Anchovies are rich in protein, vitamins and minerals that help in maintaining good health. It contains calcium, iron, magnesium, phosphorus, potassium, sodium and zinc, which helps the development healthy bones and muscles and helps to reduce joint pain and arthritis. Anchovies are a good source of vitamins such as thiamine, riboflavin, niacin, folate, vitamin C, B12, B6, A, E and vitamin K.
Anchovies are used to prepare fry, chammanthi, peera - pattichathu, etc. fried anchovies are a favourite item in Kerala cuisine. Dried anchovies also used for various dishes. The fish is so small that we can eat the bones of this fish.